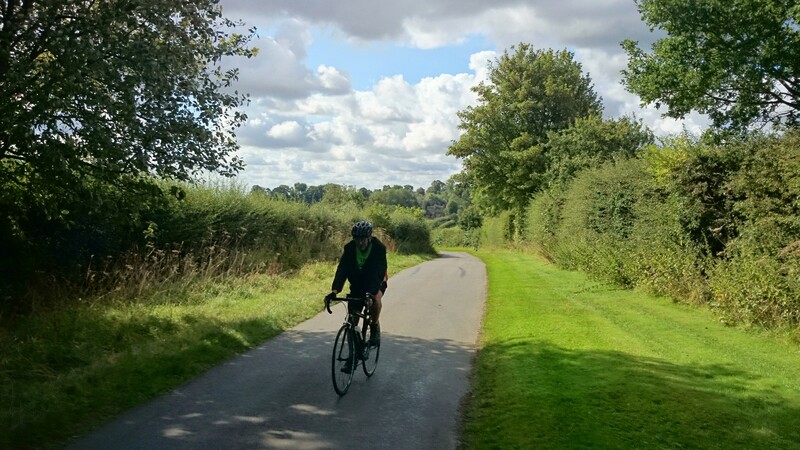 This entry was posted in CTC Northampton, cycling and tagged Café Monde, Church Brampton, Cottesbrooke, Creaton, CTC, Guilsborough, Marston Trussell, Naseby, Northampton, Sibbertoft by ianmac55. Bookmark the permalink. Thanks to Brian for this report and to everyone who came on the ride. 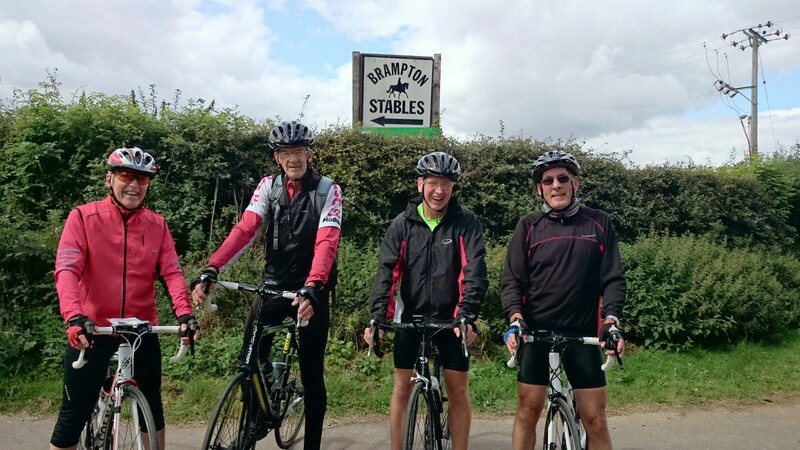 We also met a group of riders cycling back to Nottingham – from Paris! They were on the last leg of a 5-day trip raising funds for cancer research. We rode through Cottesbrooke with them before our routes diverged. I’m glad to say that Dave made it home OK after we somehow lost him around this point. Cycling on a slip road leading to the A14! Losing a rider from the group! I home the Committee is revising ride guidelines for leaders!! Cycling on the A14 is legal, excepting the current temporary restriction between junctions 7 and 9. At least two committee members have been known to make use of parts of the A14 when in a hurry, especially at night or on a Sunday morning. I can thoroughly recommend Thurrock Services on the M25 between Junctions 30 and 31 for refreshments for cyclists. Now all you have to do, Iain, is to plot a ride to Purfleet in Essex.